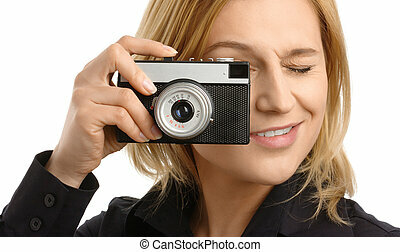 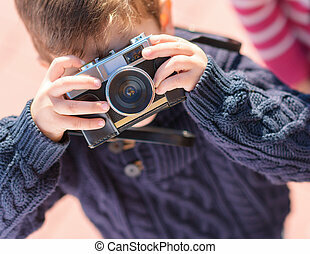 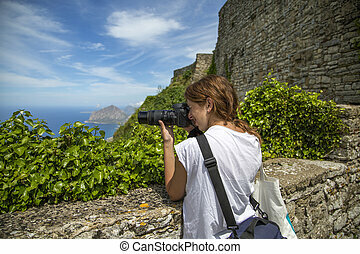 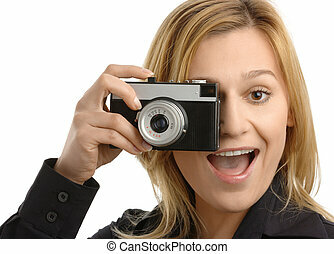 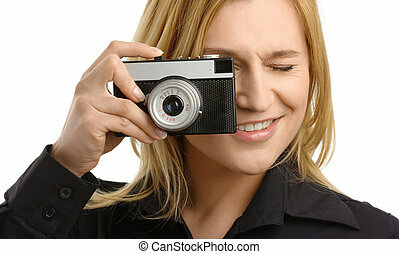 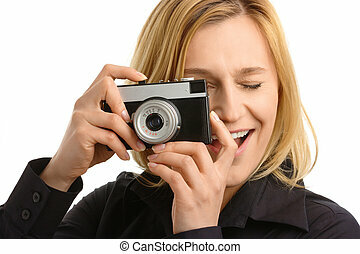 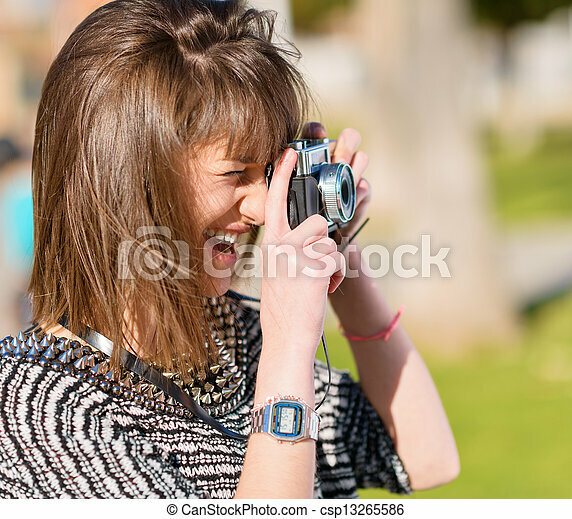 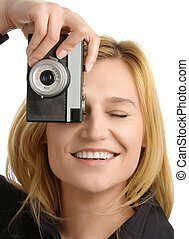 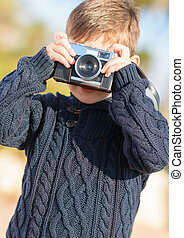 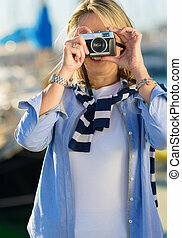 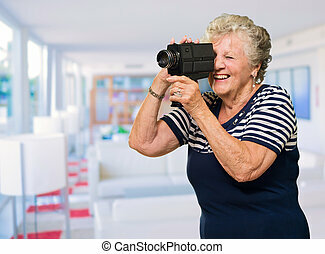 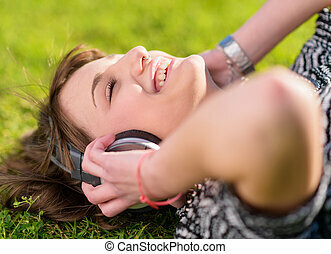 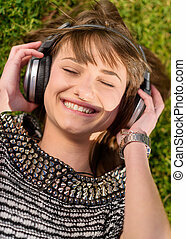 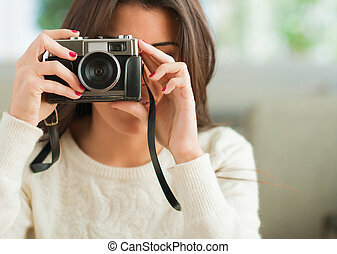 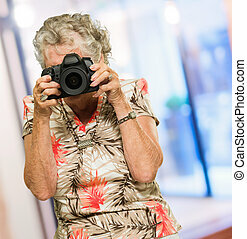 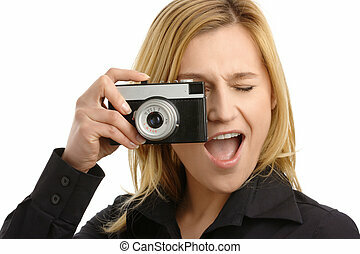 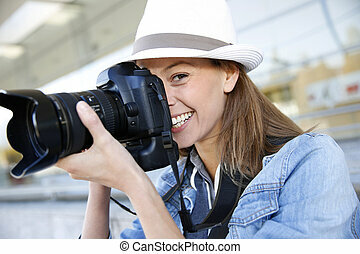 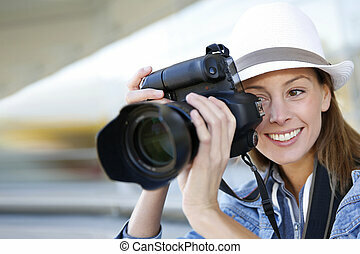 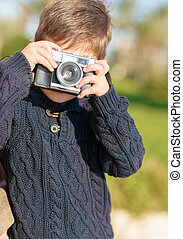 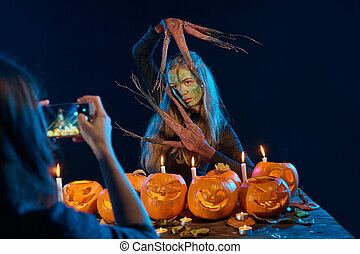 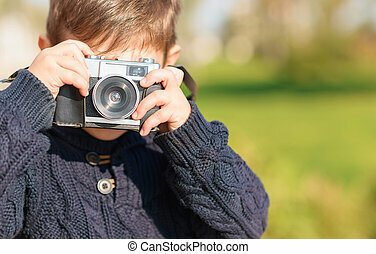 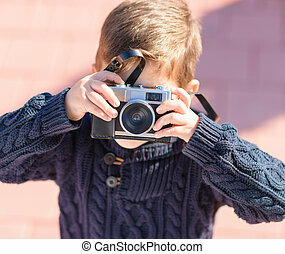 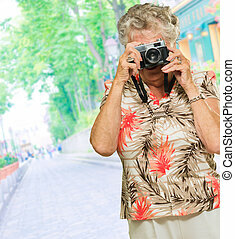 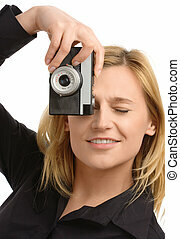 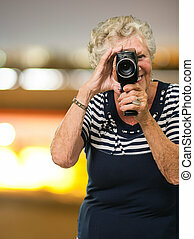 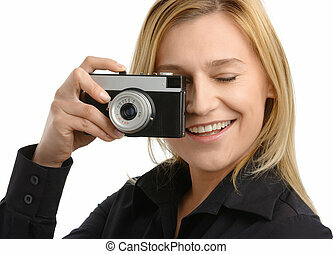 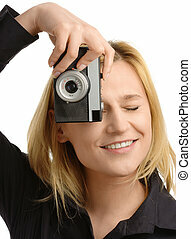 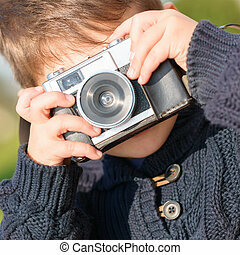 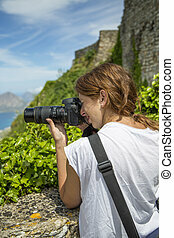 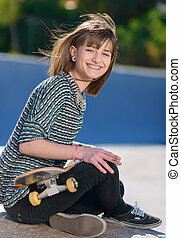 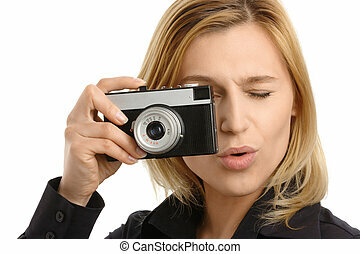 Portrait of happy woman capturing photo with camera, outdoors. 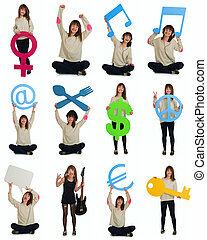 Beautiful young woman holding objects and banner happy with a big smile over a white background. 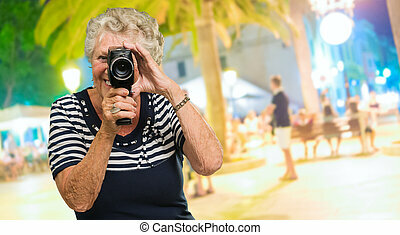 Advertisement concept. 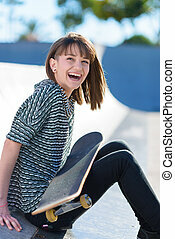 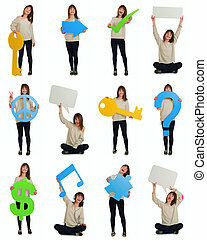 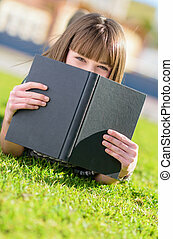 Beautiful young woman holding banners with an opinion or idea happy with a big smile over a white background. 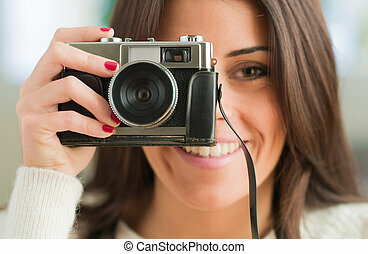 Advertisement concept.